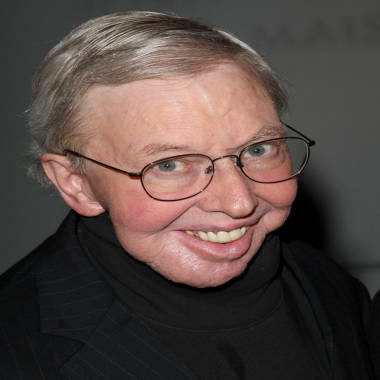 Chicago Sun-Times film critic Roger Ebert is taking a "leave of presence" from some of his duties after a recurrence of his cancer. The 70-year-old critic wrote online Tuesday that a recent hip fracture he suffered last December "has been revealed to be a cancer," and he is receiving radiation treatment. "What in the world is a leave of presence?" he wrote. "It means I am not going away." Ebert explained he will continue to write "selected" reviews, then leave the rest to select writers he admires. "I must slow down now," he wrote. But as he noted, he's not going away, simultaneously announcing several upcoming projects, including launching a Kickstarter fundraising campaign to bring back his TV show "At the Movies" and the creation of a "movie version of a video game or mobile app," making a wry nod to whether or not it is art -- Ebert has had a long-standing discussion with readers over whether video games can ever be art the way movies are. But he also suggested that he may write about the other topics close to his heart at the moment, specifically health issues. "It really stinks that the cancer has returned and that I have spent too many days in the hospital," he wrote. "So on bad days I may write about the vulnerability that accompanies illness. On good days, I may wax ecstatic about a movie so good it transports me beyond illness." Ebert was hired as the film critic for the Sun-Times in 1967. He was diagnosed in 2002 with papillary thyroid cancer, and in 2003 was operated on for cancer in his salivary gland. Further surgeries to remove more cancerous tissue required removal of a section of jawbone and he continued to suffer complications over the next few years. After fracturing his hip last December he underwent further surgery. In an interview in 2010 with Esquire he said he understands his death "is coming, and I do not fear it, because I believe there is nothing on the other side of death to fear. I hope to be spared as much pain as possible on the approach path." For now, his latest post ends by calling it a "day of reflection" and adding, "Thank you for going on this journey with me. I'll see you at the movies."